My Hair Is Beautiful is designed for girls 8-18 years old. Through a series of workshops, our goal is to EMPOWER by encouraging them to embrace what they see when they look into a mirror, to INSPIRE by sharing personal stories of life struggle and achievements through adversity, to EDUCATE by sharing special skills and information on various topics such as health & fitness, manners and etiquette, hair & skin care, goal setting, mentoring etc. and TRAINING by HAIRLOKS by ARLETTE to become a Natural Hair Care stylist through our salon’s training program. My Hair is Beautiful is not just a program – it is a movement. 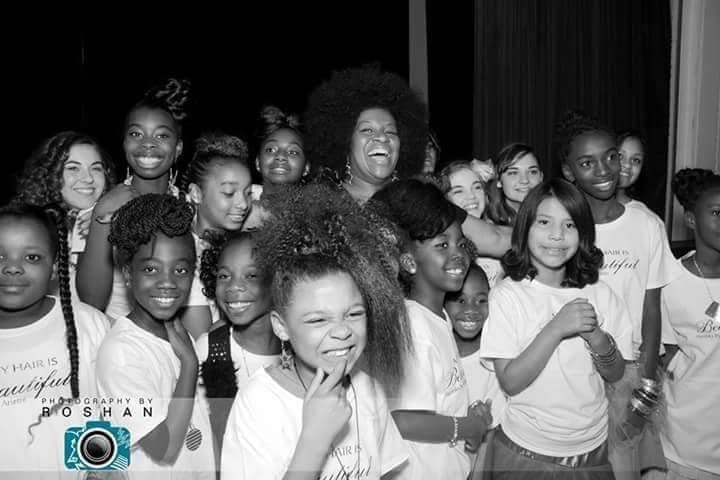 We hope this movement encourages not only young girls but people of all ages to embrace their natural, healthy hair! Help us help our girls! SUPPORT MY HAIR IS BEAUTIFUL. Attend a workshop or sponsor a girl. To find out how, contact us at 480.907.9498 or email us. To donate to the My Hair is Beautiful movement, click here.